Professional Real Estate Services with a personal commitment to your goals! In sales and marketing since he graduated from college, Brett has been licensed to sell real estate since 2006, and is a client-focused REALTOR® who is dedicated to providing the highest level of care. His previous sales experience has given him strong negotiating skills with a sense of urgency for a job well done. 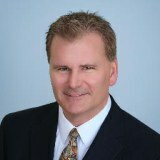 Brett promises to listen, be detailed oriented, follow through and communicate with his clients from start to finish. Whether listing their home for sale or helping a buyer find their home, Brett helps to make the experience stress-free.